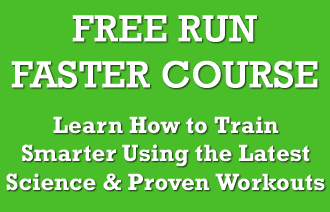 Runners Connect » » Mental Training Are Your Online Sharing Habits Destroying Your Confidence? Are Your Online Sharing Habits Destroying Your Confidence? Social networking sites have never been more popular among runners. You can share your training with your friends, check how your segment PRs stack up against other runners in your area, and check up on what pro athletes do for training, eating, and recovery. Whether this is a productive thing for us to be doing is another matter. Is social media and sharing culture making you a better runner, or can it harm your self-confidence? 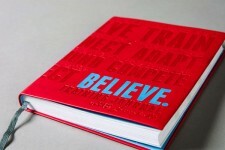 We know Chris McDougall thinks its wonderful, but what does the science say? How Does Social Media Affect Happiness in Runners? Given how many people use social media, it’s a hugely popular research topic. Some researchers are interested in how social networks develop, why some users are passive and some are active, and how things like viral video clips spread across the internet. Social scientists and psychologists, though, are particularly interested in how social media use intersects with your well-being offline. To this end, there’s quite a bit of research that’s looked into how social media usage impacts self-esteem, mood, and life satisfaction, and that is what we are going to look into today. Does sharing affect us all the same? In a survey of American adults who use social networking sites, they found that two of the biggest personality traits which predict heavy social media use are extroversion and emotional instability. Extroversion is a no-brainer—people who are outgoing probably have more drive to share their life with others. But emotional instability is more interesting, and perhaps more informative. Correa, Hinsley, and de Zúñiga found that lower life satisfaction and feelings like fear, anxiety, worry, and envy were closely related to how often people log in to social media sites. This might explain why it seems like trolls are lurking everywhere on Facebook and Twitter—that type of personality is just more likely to be online! This doesn’t mean everyone who uses social media is neurotic. How Does Social Media Affect our Self Esteem? Everyone with Facebook (join our community!) or Instagram is familiar with this—you’ve probably caught yourself looking at someone else’s profile and seeing how much more fun and exciting their life is compared to yours. They run through beautiful forest trails, meet up with all of their best friends for a group run, and figured out a super-creative way to display all of their finisher medals. Do positive posts make us feel good, and negative posts make us feel bad? Additionally, social networking sites don’t seem to be a great place to seek out support when your self-esteem is low. In real life, self-disclosure is a very good way to build friendship and get support. While people with low self-esteem are indeed more willing to engage in self-disclosure online, Forest and Wood found that negative postings on social media (e.g. “I got a stress fracture and now I can’t run Boston!”) don’t get the same kind of rewarding feedback that a positive post gets (“Just finished my first marathon!”). Be more choosy about what you share on social media—use social media for positive things, but turn to your real-life friends for support when you’re down. When Should I Share My Running News Online? Social media can be a powerful influence over your self-esteem and self-confidence, for better or for worse. If you get caught up in comparisons, you’ll spend a lot of time staring at a screen without coming away from it feeling any better about yourself. Everyone else’s running logs look much more impressive than yours; all your friends look tremendously photogenic in their race-day pictures; all the other runners have way more scenic long run routes than you do—or so it can seem, if you get caught up in upward comparison. Of course, they’re probably thinking the same thing when they view your profile! Use social media sparingly, and when you do, be an active user. Share your positive experiences and give positive feedback to other people; positive interactions lead to better feelings of self-esteem and self-worth on both ends. When you’re injured, overtrained, or down about a bad workout, you’re probably better off talking to a friend in real life. Who Can I Follow on Social Media for Inspiration? Better known as NYC Running Mama, Michele is working mother of two, 3:12 marathoner, Ironman, ultrarunner, former Army Captain/Iraqi Veteran, Women’s Running writer, Garmin & Saucony Ambassador. What is the best way to follow her? Jenny Simpson is a two time Olympian, Gold medalist in the World 1500m Championships in 2011, and aiming for another medal in the Olympics in 2016. Jenny runs for New Balance, and inspires daily through her real attitude and kindness. Kris is a 2:47:09 marathoner with a goal to qualify for the 2016 U.S. Olympic Marathon Trials. I’ve made a promise to myself to give it my all, accept the good and hard times, appreciate all those who support me, and enjoy every moment along the way. Kilian defines himself as a lover of mountains. I like competing, as it is a way to meet friends and to self-improve. But, above all, I conceive sport as a way to discover landscapes both inside and outside you. I love silence and solitude, but communication, listening, reading, writing and travelling also appeal to me. I’m (semi) nomadic, and live somewhere between Chamonix, Tromsø, and the Pyrenees. My life is spent pursuing and fighting for my dreams. What is the best way to follow him? Dubbed the “Mayor of Running,” Bart Yasso is one of the best-known figures in the sport, but few people know why he started running competitively, how it changed his life, or how his brush with a crippling illness nearly ended his career a decade ago. 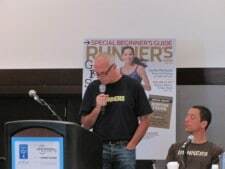 With insight and humor, My Life on the Run chronicles the heatstroke and frostbite, heartache and triumphs he’s experienced while competing in more than 1,000 competitive races during his nearly 30 years with Runner’s World magazine. Kara is a two time Olympian, with a bronze medal in the Women’s 10,000m (2008). She’s set her sights on the marathon and holds a PR of 2:24:52. Kara is a loving mother and wife. She and her family live in Boulder, Colorado where she trains under Mark Wetmore. 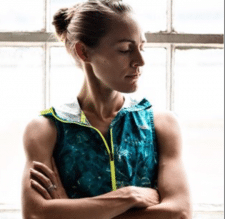 Lauren is a Pro Runner and Partner with Oiselle, 2x USA Champion, Blogger, Contributing Editor at Runner’s World, Picky Bars Co-Founder, 2 x USA Champion for 5k, 5x NCAA Champion and 15x All-American for Stanford. Fernando is a 2:11:36 Full/1:02:00 Half Marathoner from Fresno, California. 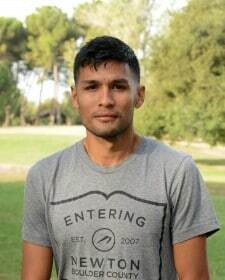 While still in College, Fernando won his first USA Championship by breaking the American Record (1:14:21) for 25k. 3xNational Champion. Member of Newton Running Elite. 2016 Olympic Hopeful. 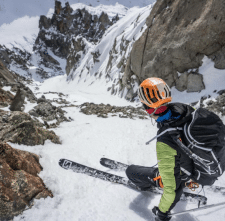 Jean-Paul is an author, advocate, and high profile endurance athlete. Jean-Paul is the 2015 “Golden Shoe Award” winner for being named “Canadian Runner of the Year”. As a Brooks sponsored athlete and veteran of over 100 marathons and ultra marathons, Jean-Paul represented Canada in the prestigious Comrades Marathon in South Africa, a grueling 90km race through mountainous terrain. 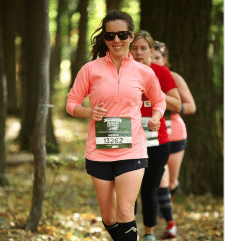 Jess is a runner with a Master’s Degree in Exercise Science and Health Promotion, is graduate of the Institute for Integrative Nutrition and is a UESCA Certified Run Coach. Jess launched Race Pace Run Club, a free virtual run club that welcomes runners of all levels from coast to coast and also meets in-person in NYC. Andrea is a Mom with a Ph.D. in Sports Communication. She was a 2016 Olympic Marathon Trials Qualifier and elite runner for @oiselle. Andrew runs for Team Generation UCAN and Zensah. 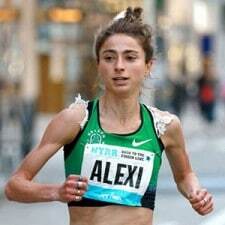 After running for Dartmouth College and the University of Oregon, Alexi is now a professional runner with the Nike Oregon Track Club Elite in Eugene with her eyes on the Olympics. Alexi was a Top 9 Nominee for the 2012 NCAA Woman of the Year Award. Alexi has simultaneously been training to make the Olympic team while writing, co-producing, and starring in her upcoming film, TRACKTOWN. 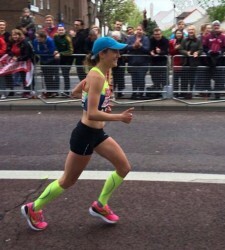 Tina is a British elite runner for the Saucony Hurricanes (also our Community Manager!). Tina shares the real ups and downs through her training blog, there is no sugarcoating in this elite runner life! Sage ran NCAA Division I at Cornell University where he was the Ivy League Conference Champion at 10km and also qualified for the Olympic Trials Marathon at the age of 21. Upon graduation, Sage ran professionally for 2 years on the roads and became a MUT (Mountain-Ultra-Trail) Runner in 2012. Sage likes to mix it up with anything from 10km to 100 miles now in terms of race distance. 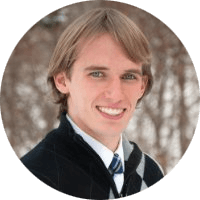 Matt Frazier is a marathoner and ultra-runner from Baltimore. His life as an endurance athlete changed when he found that he could run longer and faster on a vegetarian diet. 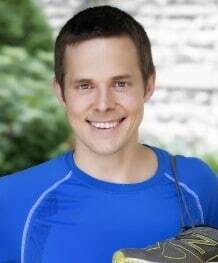 Matt has run many marathons and has run two 50-mile ultra-marathons, and plans to one day run a 100-miler. And please do us a little favor and share this guide with a running friend who needs a pick up, for there’s a good chance that it will help them spin their perspective, to see that there is good in this world! Correa, T.; Hinsley, A. W.; de Zúñiga, H. G., Who interacts on the Web? : The intersection of users’ personality and social media use. Computers in Human Behavior 2010, 26 (2), 247-253. Valkenburg, P. M.; Peter, J.; Schouten, A. P., Friend Networking Sites and Their Relationship to Adolescents’ Well-Being and Social Self-Esteem. CyberPsychology & Behavior 2006, 9 (5), 584-590. Vogel, E. A.; Rose, J. P.; Roberts, L. R.; Eckles, K., Social comparison, social media, and self-esteem. Psychology of Popular Media Culture 2014, 3 (4), 206. Appel, H.; Gerlach, A. L.; Crusius, J., The interplay between Facebook use, social comparison, envy, and depression. Current Opinion in Psychology 2016, 9, 44-49. Forest, A. L.; Wood, J. V., When social networking is not working individuals with low self-esteem recognize but do not reap the benefits of self-disclosure on facebook. Psychological science 2012, 0956797611429709.